Our Moarlhof is a lovely farmhouse with five inviting holiday apartments. When building our house, we followed the guidelines of “KlimaHaus Nature” putting great emphasis on ecological materials, low-energy demand, environmental sustainability and best air quality. During the process, we chose to use energy-saving electronic devices and led lamps throughout the house. This makes of our Moarlhof the top address in Castelrotto/Kastelruth for nature enthusiasts. 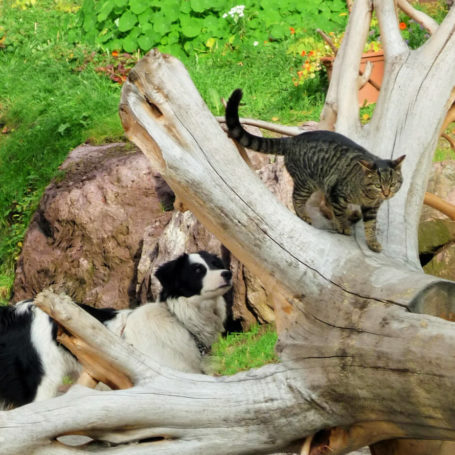 Our family-run farm was awarded the label “KlimaHaus A Nature”, thus our holiday apartments in Castelrotto do not only offer a great view, a quiet and idyllic location, but also “healthy living” due to our environmentally sustainable and energy-saving house. Visit us and find out for yourself! 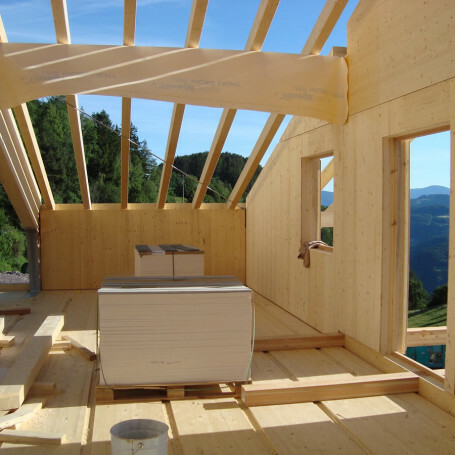 All apartments are furnished with wood from local forests, manufactured in our own carpentry: Swiss stone pine for a restful and sound sleep, larch for an efficient protection from radiation and many more. We chose to abstain from any surface treatment so that the wood can fully develop its fragrance. Our holiday apartments in Castelrotto vary in size and style. Each one has its unique design and offers every comfort including WiFi, central hoover system and smoke detector. All bedrooms offer comfy beds and matrasses with a length of 210 cm. Some of our holiday apartments in Castelrotto even offer an infrared cabin by Physiotherm. Our rustic apartments are available for 2 to 4 persons (“Alpine Flair”), for 2 to 6 persons (“Morning Salute” with the room “Kingdom of Heaven”), for 4 to 6 persons (“Sunshine” and “Waterfall”) and for 5 to 7 persons (“Paradise”). 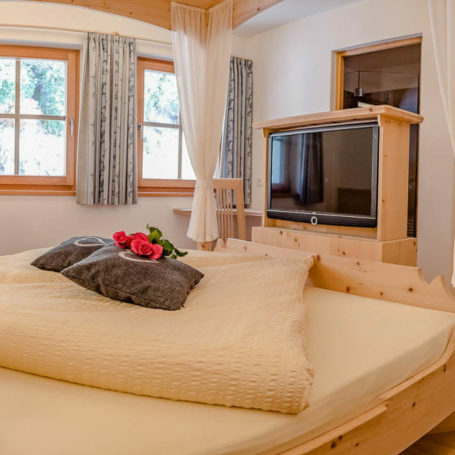 Our modern apartments in Tagusa/Castelrotto are made out of natural South Tyrolean wood. This way you get to experience your holiday surrounded by fragrant South Tyrolean wood. The names of our apartments are also chosen very consciously. The cosy rooms offer a perfect combination of modern and traditional details and elements which make for a truly artistic feel and harmonioius ambience, in front of the breathtaking panorama of Alpe di Siusi and the Dolomites UNESCO World heritage. Our holiday apartments in Moarlhof are a great place to spend some time. As a matter of fact, a stay in our feel-good rooms, which are skilfully furnished with local woods, is not only pure bliss for people of all ages but also soothing for body and mind. In fact, the beneficial effect of Swiss stone pine on one’s health is now scientifically proven. Our holiday apartments in Castelrotto are situated in the immediate proximity of Alpe di Siusi, the largest high plain in Europe. This panoramic slice of heaven offers a wide range of active leisure-time possibilities, in summer ranging from hiking, Nordic Walking and biking to mountain climbing and paragliding, to horseback riding and golfing and in winter from downhill skiing to sledging and cross-country skiing. 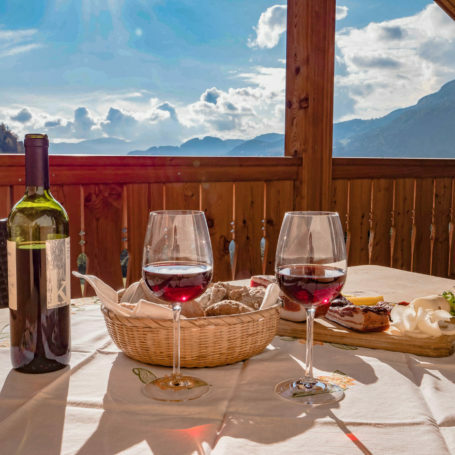 In the evening, after an exciting day in the outdoors, kick back in our holiday apartments in Tagusa/Castelrotto, in front of the spectacular backdrop of the legendary Dolomites, Alpe di Siusi and Sciliar/Schlern. The ride "Oswald von Wolkenstein"